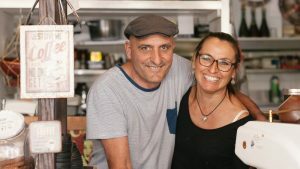 APA has learnt that Alfonsos Cafe in Elvina Avenue has apparently received a notice from Northern Beaches Council to shut down its engaging ‘Pizza and Music’ nights (Friday/Saturday/Sunday nights). If you haven’t been to this restaurant /street affair you are missing out on an amazing community experience. An experience which is the epitome of placemaking and resident engagement, the stuff that gives you the zest for the local community and life in general! APA is disappointed to learn that NBC have apparently issued a notice to restrict Alfonso’s ability to conduct these nights, which feature street music and food events on the footpath outside the cafe. APA is advised that the music usually wound up by 8.30pm. Many people in our local area are thrilled and proud to support Alfonso and his staff because this is the sort of activity that we want to encourage if we are to make Avalon Beach a vibrant, engaging and prosperous community, full of educated people so willing to give. An online Change.org petition has been created to support Alfonso’s Cafe. APA would love to know your thoughts on other ways to fight this decision. Many of you will have enjoyed Friday Night at Alfonso’s Cafe in Elvina Avenue. Sadly I learned today that due to a noise complaint Council has requested that these nights be cancelled.